I have been honored to serve as the social impact director and transmedia producer for the Sundance award-winning documentary film, Who is Dayani Cristal?. To support advocates' work in migrants’ rights and immigration policy, which this film explores, the social impact campaign team developed a number of social impact tools which are available for free for use in their own work. Who is Dayani Cristal? is an intimate examination of the journey of one migrant who perished in the Arizona desert, far from his native Honduras, with no real identification but a name tattooed over his heart. The documentary was produced by and features Gael Garcia Bernal. The film weaves together real-life attempts to identify the migrant's body with Bernal's retracing of the journey he would have most likely taken through the "corridor del muerte" to reach the U.S. with hopes of improving the lives of his family. 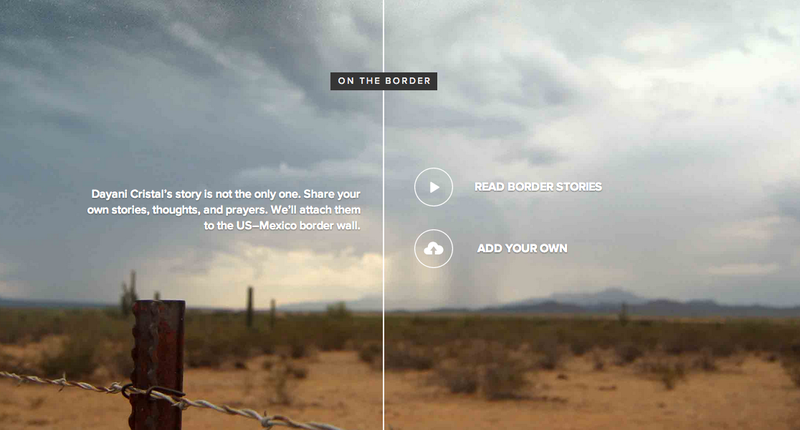 Employing a series of digital tools with interactive features, including the ability of migrants to post their own border stories on the project's website, Who Is Dayani Cristal drives audiences moved by the story to delve deeper into and take action on the issues that drive migrants to brave perilous conditions in order to reach the U.S. The team has already begun having impact with the campaign and tools. We believe you can extend the impact of our tools and that we can further support the movement for humanitarian treatment of migrants and humane policy by offering the tools to you for your own work. Explore the complex issues surrounding migration in greater detail with the Who is Dayani Cristal interactive ebook (via iTunes or PDF). This interactive book extends the story to the stories of many, and to analysis of the systemic issues that impact their journeys, providing readers a deeper investigation into policy frameworks that affect the lives of migrants and border communities such as those found in Who Is Dayani Cristal? Most migrants from Central America leave their homes because they simply have no other choice. There is little opportunity in their home countries for income or economic security, limited access to basic services or education, little hope of advancement – and as Dr. Bruce Anderson says, “we are dangling the carrot” of jobs in the US. A cross-border, cross-sector effort to work towards economic sustainability and access to services and education is essential to providing the viable choices to would-be migrants to stay home if they so choose. The US-Mexico border has become one of the most dangerous places on earth for people traveling on foot. At this point, it is at its most militarized in US history. The need for a secure border has become a condition of comprehensive immigration policy. The need for the US to adhere to a border policy that doesn’t result in avoidable human deaths is dire. Migrants crossing over the US-Mexico border by foot often carry no identification or carry false papers to avoid endangering themselves of their families. If a migrant dies and is found on the US side of the border, it becomes the responsibility of border counties to investigate identity. Under current US policy, the number of immigrant detentions and deportations has skyrocketed. Migrants who are apprehended are detained without representation or contact with their families, sometimes for weeks and months. “They steal our jobs.” The story about migrants and immigrants we often tell ourselves is that immigration leads to job loss for Americans. But political and economic experts, regardless of ideological leanings, have acknowledged this is simply a myth. The journey from Central America through Mexico to the US border is the most dangerous foot journey in the world. Migrants can fall prey to illness, dehydration, exposure, injury, accident, coyotes, drug cartels, smugglers, traffickers, and violence. Dilcy Yohan’s story is not the only one. Share your own stories, thoughts, and prayers. We’ll attach them to the US–Mexico border wall. There are people working to support migrants at every stage of their journey. They need your help. And we have worked with our NGO partners to set up a number of ways for you to support their work and take action on the issues that will create positive change. This page will allow you to file a missing person report with the Colibrí Center for Human Rights. All information collected in this form is confidential and all precaution will be taken to maintain your privacy. Colibrí will not release names, phone numbers, or identifiable information to outside agencies without your permission. The Colibrí Center for Human Rights is not a law enforcement entity. They collect information only to assist families searching for a missing loved one. This toolkit is designed to give you the tools to join our campaign. Each of the toolkit's modules stands on its own and can be used when implementing a specific type of event for various audiences. + Plan a theatrical or community screening. + Facilitate a discussion or post-screening Q+A with: General audiences, Faith-based audiences, Academic audiences, Advocacy groups, Mobilize your audiences to take action. Download the PDF document at the bottom of the website's Screenings page.